There are three messages that I hope to leave behind in this article. They may seem unrelated, but stick to the story and you’ll see how they all interact. Career opportunities come from equal parts planning, preparation, and random events. Current Electronic Medical Records in the United States are a reflection of a dysfunctional healthcare system and thus are dysfunctional themselves. There are less complicated, easier-to-achieve first-steps for Meaningful Use than those under consideration now. How did I end up in the Caymans Islands? I had a great job at Northwestern University’s Feinberg School of Medicine. With only one minor exception, it was a great culture of selfless senior leaders. We were financially very secure. We occupied what might be the best location for a healthcare system in one of the best cities of the world. But behind all of these positive attributes was my growing discontent with the US healthcare system. I have this flaw of cynicism in my personality that expands uncontrollably when I’m embedded in a system or culture that doesn’t make sense to me. I experienced it in the late 1980’s and early 1990’s working with the US military that was still fighting a nuclear Cold War with the Soviets, all the while 3rd world terrorists were plotting to steal those same nuclear weapons and we were paying no attention. I experienced it again at Intermountain Healthcare when we decided to continue developing our own next-generation electronic medical record, despite failed attempts on three other occasions over 10 years. At Northwestern, the organization was and is great, but the healthcare system of the US was driving my cynicism higher and higher. I couldn’t be proud of my association with the US system anymore, so decided to either leave healthcare entirely or find opportunities in another country that had what I believed to be a more sustainable healthcare model. I set my sights on Canada, leveraging the relationships I developed in that country over the previous eight years to find several good opportunities. I was positive I was headed to Canada. The plan was coming together…until I got an unsolicited email from a headhunter whose emails I literally never open because his leads were never any good– except for this one. His email said, “I don’t represent this client, but you were the first person I thought of when I saw this.” It was a link to an advertisement on Craig’s List for a CIO position in the national healthcare system of the Cayman Islands. I thought, “Hmmm… interesting. I’ve always wanted to live near the ocean. I’ve heard it’s a tropical paradise.” My resume was up-to-date from my dealings in Canada, so I threw together a quick cover letter and sent it in. The next day, I got a call from their HR Director, Ron Etcitty (I would learn later that Ron was a Navajo Native American and grew up a stone’s throw from my hometown in southwestern Colorado). A few days later, I had a phone interview with their Senior Management Team. During that phone interview, we talked about my frustration with the US system and my motives for leaving such a great job in the US at Northwestern to work in a foreign country. Dr. Greg Hoeksema, the Cayman Medical Director and a retired US Navy physician made a statement that set the hook (no pun intended). He said, “I’m here for the same reasons you’re leaving Northwestern. We have an opportunity here in the Cayman Islands to build a healthcare model that works. It’s not often that you get to change the healthcare system of an entire country.” I’ll never forget those words. They were poignant and career changing. Observing my own career, as well as those of others, tells me that: (1) it is possible to over-plan your career, forcing it to fit into what you think it should be, only to learn that the over-planned career is also unfulfilling. The old saying applies: Be careful what you ask for; and (2) The most interesting and fulfilling career opportunities sprout from fundamental preparation — educationally, financially, etc. — and focused execution on your current duties, then keeping an eye open for new opportunities and letting them come to you. My job performance at Northwestern was, gratefully, very appreciated by the Dean and my CEO, so that aspect of the preparation fit. They wrote me a glowing reference and I remain very humbled by their gesture of support. In addition to focusing on execution of my current duties while at Northwestern, I had slowly been “leaning-down” my household goods, financial commitments, financial lifestyle, debt, etc. in the previous few years so that my next career move could be fast, easy, and not require a large salary to support. I had no idea at the time, but all of this preparation and execution aligned perfectly to fit the random opportunity of the Cayman Islands. The logistics of the move were easy, because I had been trimming my household and lifestyle needs, and I could afford to take a large pay cut in return for a great experience, because my financial situation was secure and debt-free. I could write a lengthy article on the changes we are making to the healthcare model in the Cayman Islands, but suffice it to say in summary that we are implementing all of the concepts embodied in Accountable Care Organizations and the Medical Home. Our new model, called CayHealth, is characterized by capitated economic reimbursements, measurement of quality outcomes, emphasis on practicing and measuring evidence-based medicine, and assigning a personal and dedicated healthcare coordinator to every patient. While the US healthcare system is struggling to get organized around ACOs, and fight the constituents who want everyone else to change except them, we held our first CayHealth team meeting on June 1, and are committed to fully implementing all of the concepts by July 1, 2011. Everyone who needs to be supportive, is supportive — the Minister of Health, Mark Scotland and his staff; the General Manager of the national healthcare insurance organization, Carole Appleyard; our Senior Management Team, led by a fantastic CEO, Lizzette Yearwood; and our physicians who will be responsible for implementing the new model at the front lines of delivery. The Cayman Islands purchased Cerner Millennium (PowerNote, CareNet, PathNet, RadNet, PharmNet) and ProFit financials in 2005, before I arrived. Both Cerner and the Cayman Islands have been struggling ever since to make the implementation a success. For the most part, the clinical applications have been relatively successful, even though the physicians are reluctant users; data access and data analysis is torture; and the implementation lacks many added-value features– notably medication order entry. The ProFit implementation has been only slightly less than a disaster. Practicing medicine is, for the most part, a fairly consistent experience between the US and Cayman Islands, but the Caymans are considerably different in their management of financials and interactions with insurance companies. Cerner admits now that ProFit was a misfit and we still have a long way to go to make it reliable and functional. To Cerner’s credit, Talbott Young, the VP who covers the Latin American Region and Lisbeth Fabiny, our Customer Results Executive, are phenomenal partners in improving the value-add from Cerner products in the Cayman Islands. Neither of them were involved in the initial implementation or contract, so pride of ownership is not an issue. In my first eight months here, my IS team and I have been focusing on remodeling the neglected technology infrastructure — basic issues like antivirus software, new desktop computing, new printers, cabling, networking, data backups, etc. have kept me very busy — but in the next few months, I will start to climb my way up the technology stack and focus more on the data content and application configuration of Cerner. Improving the cost-benefit ratio of Cerner is my prime concern. We spend almost $3M per year in Total Cost of Ownership on Cerner, which consumes about 90% of our IT budget. Our IT budget accounts for 4.5% of our total operating budget for the health system, which is much too high, especially given the lack of perceived benefits from Cerner. Our Cerner TCO equates to an overhead of about $41K per employed physician per year. 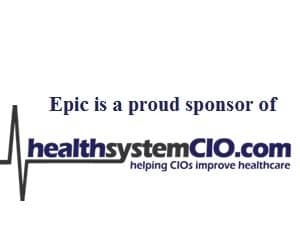 If software functionality and design is a reflection of the processes that it supports; and if we all agree that our US healthcare process is flawed, then Euclid would conclude that the functionality and design of our current crop of EMRs is also flawed, and Cerner is no exception. In order for CayHealth to be successful, we have to partner with Cerner to make some fundamental and major changes to their products’ implementation in the Cayman Islands. Like all the market-leading EMRs in the US, Cerner’s products are a reflection of a healthcare documentation application—not a healthcare delivery application– that was motivated primarily by some rather less-pure sources. Defensive Medicine: Protecting the physician from spurious lawsuits and billing compliance violations. We have the opportunity in the Cayman Islands to reengineer our Cerner EMR and surrounding ecosystem so that every mouse click, every function, every user interface will support and be judged by its contribution to a different set of motives, with more sensible origins. Clinician Workflow Efficiency: Enabling clinicians to practice the best medicine possible, in the least amount of time and lowest risk. Evidenced-Based Medicine: Patient-tailored and dynamically generated follow-up appointments, order sets and patient health optimization plans. Economics of Care: Informing the patient and the physician of Total Cost of Care–to the patient and the insurance company–at the point of care, so that treatment options can be discussed within the context of cost and benefit. Patient Engagement: Enabling patients to be more involved, if they are capable, in their own healthcare through personal health records, social networking support groups, financial accountability, and patient-specific health optimization plans. Patient Safety: Providing user interfaces and decision support that enhances the delivery of safe medicine. Paperless financial transactions with patients, employers, and insurance companies. I guarantee that, if we addressed these improved motives, we would certainly satisfy the needs of defensive medicine and billing levels. One of the first things we need to address in the Cayman Islands’ implementation of our Cerner EMR is the fundamental manner in which Cerner is utilized in the delivery and documentation of care. While we address these fundamental issues of utilization, we will in-parallel develop the added-value functions, such as evidence-based content and medication order entry, to better support the motives listed above. The execution of my duties at Northwestern played an important role in preparing me for my duties in the Cayman Islands. When I first started my new job at Northwestern University, I noticed one thing very quickly about our Epic EHR implementation—physicians were using it like a very, very expensive word processor. With the exception of a few of our physicians in General Internal Medicine, the only content and functionality that was used on a regular basis was the progress note, and most of the time, that progress note was dictated and transcribed. We undertook an “Epic Optimization Project” to increase the use of Epic in all of the 30+ practice areas. The first thing we did was define our own criteria of meaningful use. We called it our Core Principles of Clinical Documentation and kept those principles simple and lean—they had to fit on one page. Unlike the current Meaningful Use criteria, which are largely driven by the data analysis output of the EMR, we chose a simpler approach first, assuming that, if we could achieve basic and consistent utilization as described by the principles below, we would almost certainly be collecting meaningful data for analysis later. All patient appointments/visits are to be documented in the EHR as an encounter. Visit encounters should by closed by the attending physician within 48 hours of the patient visit. All medication prescriptions and refills must be documented in the EHR, including those ordered in a telephone encounter. Medications are to be reviewed at every patient encounter, in accordance with the individual specialty’s standard of care. Every effort should be made to maintain a valid and complete list of patients’ current medications in the EHR, including end dates, discontinuing medications no longer being taken, and removing duplicate medication entries. All chronic, persistent patient diagnoses or complaints should be documented on the Problem List in the EHR, with the exception of highly sensitive diagnoses such as those associated with mental health care. Problems should be documented using the most specific term applicable to the problem, e.g. mild intermittent asthma vs. asthma. The Problem list should be reviewed and updated at every patient encounter, in accordance with the individual specialty’s standard of care, and problems not currently clinically relevant should be filed to history and marked as resolved. Allergy lists must be actively maintained for validity and completeness for all patients, including marking as reviewed when no new allergies are reported. The allergy list must be reviewed during any encounter in which a medication is ordered. All patient orders must be documented in the EHR. All patient encounters should have an accompanied progress note that appropriately documents the history, physical, and decision-making in a way that is succinct and minimizes redundant content. If dictating, notes must include the patient’s name and medical record number, the date of the encounter, and the attending physician’s name to ensure timely documentation. Patient results and messages should be reviewed within 72 hours of receipt and In Basket coverage should be assigned when clinicians are unable to respond within that time frame. These principles of clinical documentation seem almost too obvious and trivial to discuss, but surprisingly, as revealed by our utilization metrics, these basic principles were not consistently practiced at Northwestern, nor are they practiced consistently in our Cayman environment. I feel very strongly that these basic concepts of EMR utilization need to be addressed first, before the more complicated issues of data analysis can be achieved, as required under the current definition of Meaningful Use. Remember that the best you can do in planning and preparing for your next career move is to focus on achieving excellence in your current job. Execute your duties well now, and let the career opportunities come to you. Be adaptable and prepare to adjust your plans to random but great opportunities. Also remember that today’s leading EMRs were motivated in their design to support a fundamentally flawed healthcare delivery model in the US. Work with your vendor and change those design motives to support a more sensible healthcare delivery model. We need an EMR vendor with bold vision and courage to develop an EMR for the future, based around a completely different healthcare model. We need the technology of the EMR to pull us into the future. And finally consider that Meaningful Use of an EMR can be achieved with less complicated, less controversial principles. We can address the more difficult challenges of data extraction and analysis, later. My message to CMS and ONC is let’s get the basics in place today.